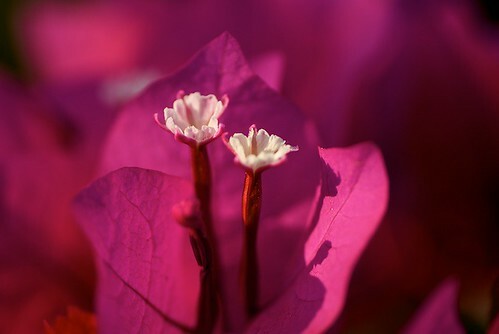 Bougainvillea, from the gardens of Anarkali, Mahabaleshwar. Sanket has a voice which goes to my heart. Once, sitting on the steps of closed shops on the naka he sang my fav song of his for me. It was an old gazal... I recorded on my phone .. Then later I devised this video around that song .. from arbitrary clips I had shot with my k750 phone camera over the year. Those where the days of a lot of questions. Sunset on the Deccan. The flat hinterland. It's been a couple of months since I have got back from this trip and finally I take it upon myself to note down the trip least I forget about it or the minor details which enriched it. I had been looking forward to a trip for quite some time. I tried to rope in friends and other to plan one, but nothing happened. So I took leave and decided to drive. I took my brothers Honda City as my Esteem was at the garage and moreover had old tires. 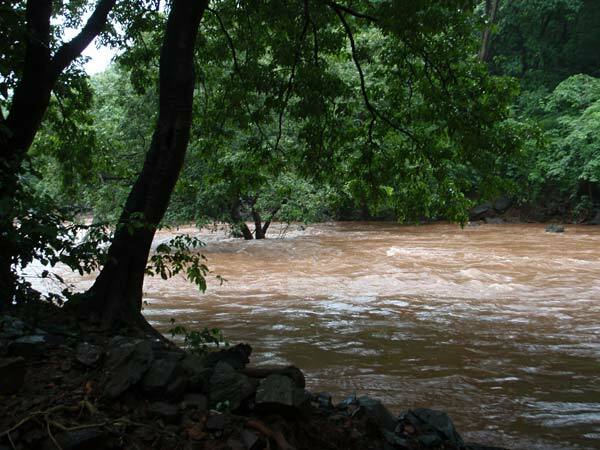 So I drove down to Poona. Cousin Unmesh from Solapur met me there having come from Pundharpur where he studies. 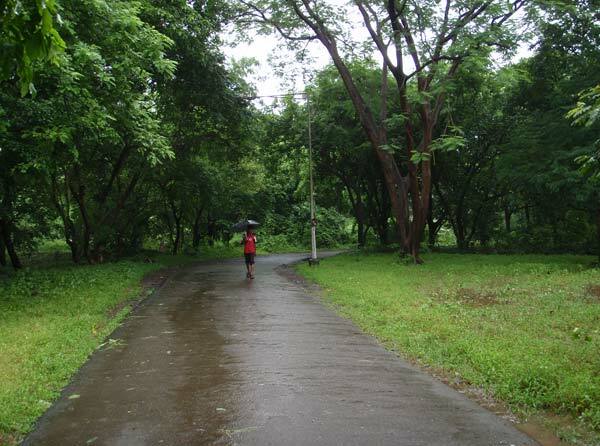 The journey to Poona was uneventful - it was not the first time I was doing Mumbai-Poona alone. 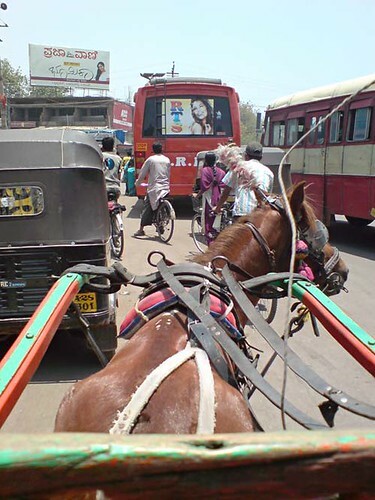 Met Unmesh at Swargate and we immediately headed for Solapur. 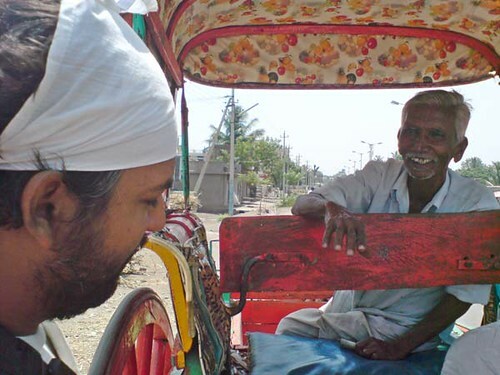 The 250 odd kilometers to Solapur was extremely hot, but uneventful. Temperatures in the shade exceeded 40 deg C. I was traveling this arid flattish landscape (called malran in Marathi) by road after more than a decade. 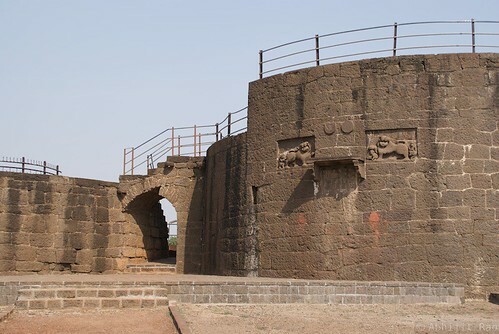 I spent a couple of days in Solapur visiting relations - I was born in this town. Aniket my young cousin had just finished his exams. We visited the Nannaj bird sanctuary and sited the Great Indian Bustard (Ardeotis nigriceps, Maldhok माळ्ढोक in Marathi, also Sonchiriya locally). 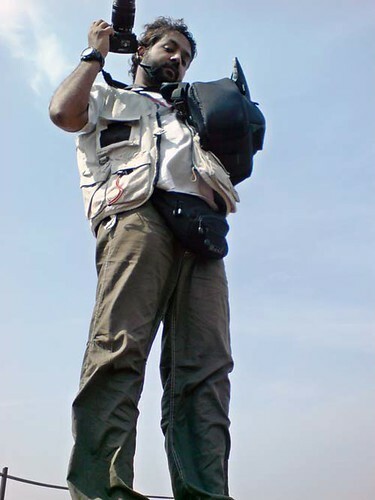 So on 22/4/08 at about 1600hrs me and Aniket headed for Bijapur. 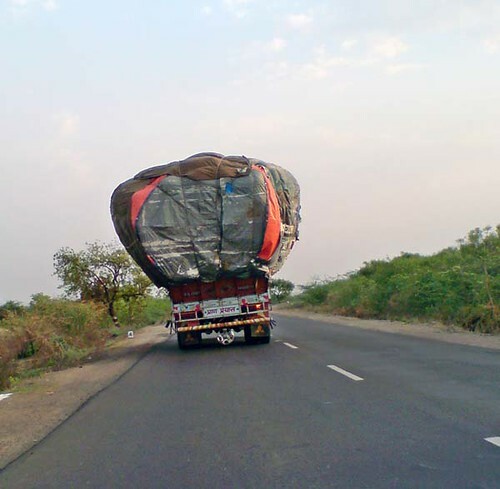 The road to Bijapur is the NH-13 going south. The hinterland is flat and mostly barren. We reached much after dark and started hunting for a place to stay. The hotel we found was pretty good but only had one suite empty. So we forked out 1200 bucks to stay in a large room with A/C. The temperature at 10pm was 38 deg C so the A/C was pretty welcome. In the morning we started. After some consultation with the reception, we decided to start with the Upli Buruz and then head further to the other places. 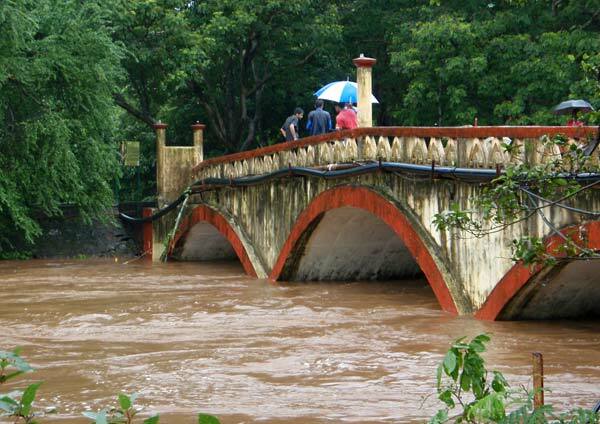 Bijapur is a quaint old town and one gets the feeling that it is still living in the past. There is poverty everywhere and old derelict building. 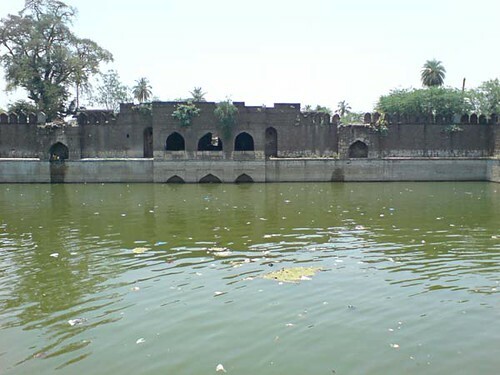 This was the seat of the Adilshahi dynasty from 1490 to 1686. 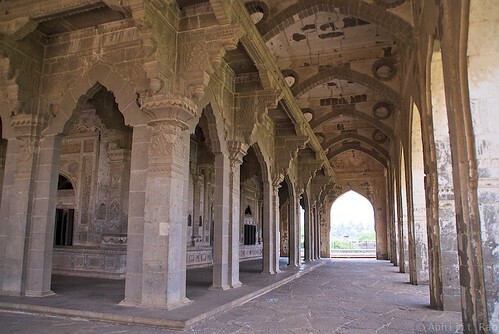 Yusuf Adil Shah was a governor of Bijapur for the Bahamani empire before he broke away and created the sultanate of Bijapur. The dynasty ruled the sultanate till 1686 when the Mughals conquered it. 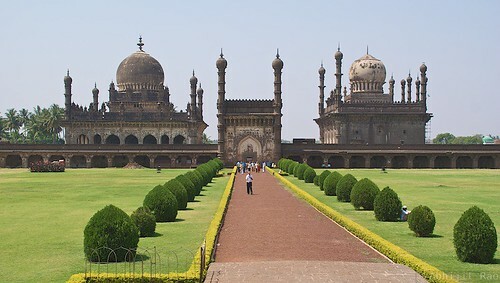 The last three sultans, Ibrahim Adil Shah II, Mohammed Adil Shah, Ali Adil Shah II, build most of what we see of Bijapur today. 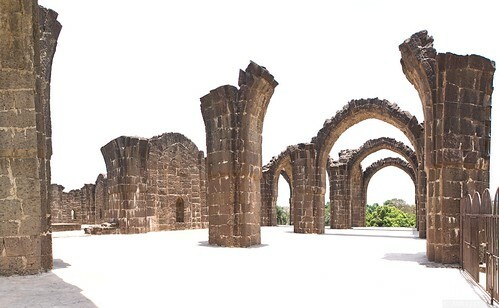 It is some of the best deccan Indo-Islamic architecture. 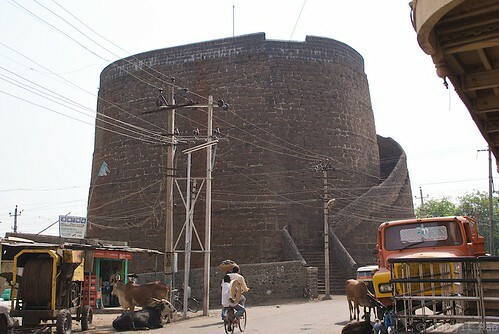 The Upli Buruz (80 ft) is a massive buruz (round bastion tower) built on a relatively higher part of Bijapur by Hyder Khan. It is also called Upri or Hyder buruz sometimes. It has 2 cannons on top, one of which is really massive. You can see most of the town from the top. 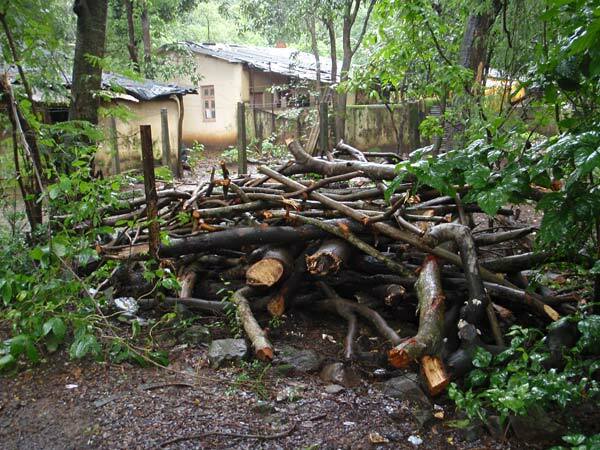 But buruz is surrounded by the encroachments of the city .. the gutters the overhead wires the animals. Form here we walked down to the Malik-E-Maidan ("lord of the battlefield", "The Monarch of the Plains") Cannon. 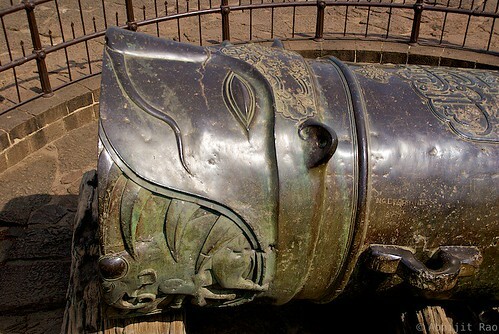 This cannon is 4m long, 1.5m in diameter and weighs about 55 tons. It is build of some alloy metal which has not rusted in all these years. It is housed on a platform specially built for it on the Sherza Burj. 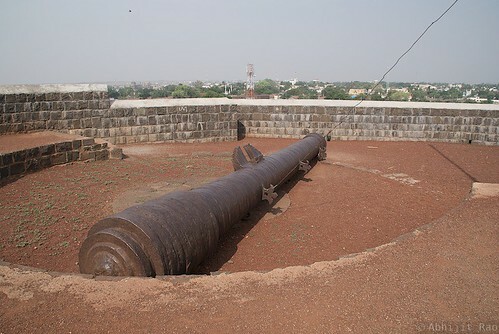 This gun was brought from Ahmednagar in the 17th century as a war trophy. The sun was getting higher and temperatures were touching the 40deg C mark. So we decided to hire a tonga. The old man of the tonga said he would should us the rest of the monuments for a 100 bucks. We jumped in and headed for Ibrahim Roza. This monument was a shocker for me in terms for the grandeur and size. I loved it. The twin buildings are similar and distinct at once. 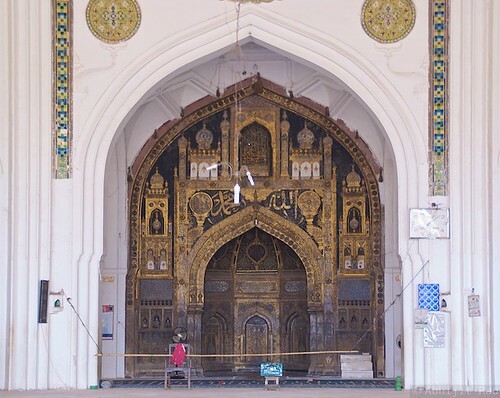 This is the mausoleum of Ibrahim Adil Shah II. 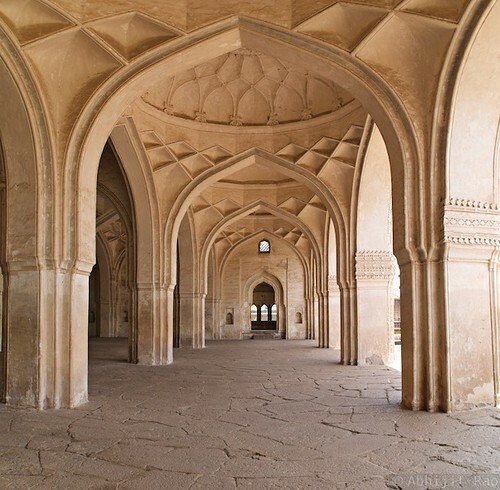 It is said to have inspired the Taj Mahal. From here we headed for Bara Kaman. This large melancholy structure stood stark in the noon sun like a bleached skeleton. It had got extremely hot by now and impossible to bare the head. 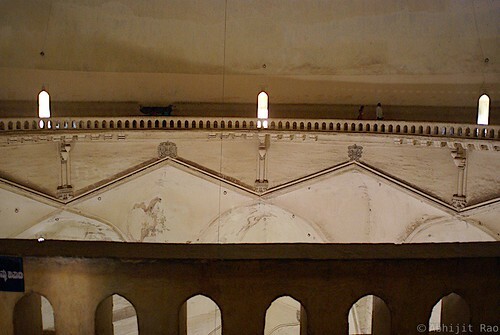 This is the mausoleum of Ali Roza. From here we visited the Chand Bawdi (water place) and the Jod Gumbaz. Both were ill maintained and dirty. We also visited the Jumma Mashjid. 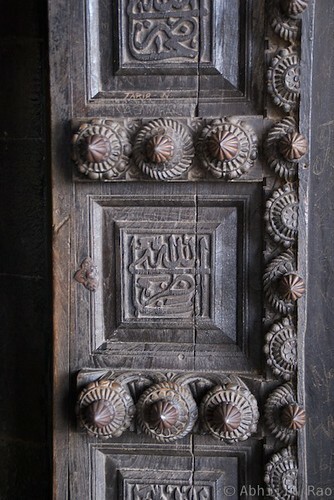 This is a beautiful structure which is used even today for prayer. Then we headed for the Gol Gumbaz. But it was past lunch time so decided to eat before entering it. We had lunch in a small restaurant outside the Gumbaz gates. The tonga man was delighted when I tipped him 50 bucks. It had been a good ride through the old city. 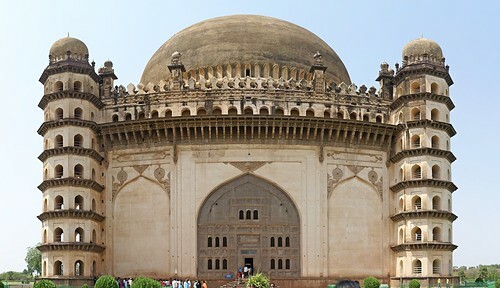 Gol Gumbaz is the second largest dome in the world. 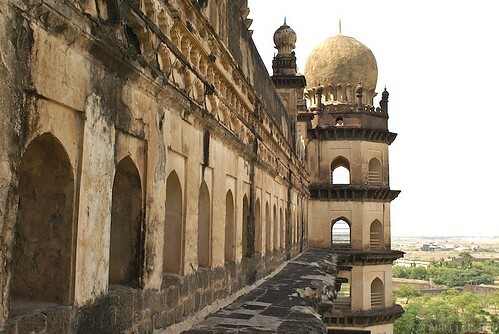 It is the mausoleum of Mohammed Adil Shah. 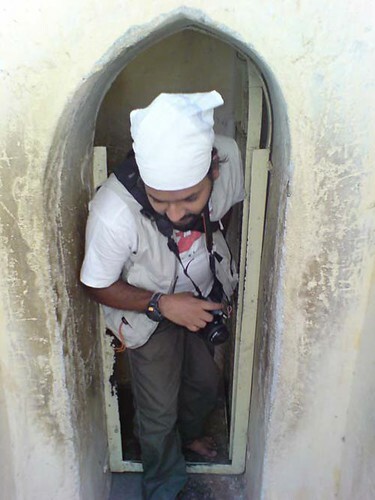 I have visited the Gumbaz as a child. The area around the monument has been very well maintained. The Gumbaz itself is massive. The 4 corner towers are 7 stories high. It was a crowded day and because it is so famous it is difficult to photograph this massive structure without being cliched. One has to visit it to feel the grandeur. 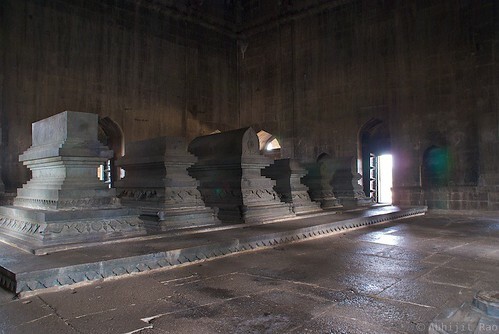 I have freely used the wikipedia (http://en.wikipedia.org/wiki/Bijapur,_Karnataka) for reference. It was raining hard. I watched it from my 11th floor window on the hill overlooking the bus depot. The few buses left looked like wet hens. The rain made me restless. So I headed for the park. It was raining hard. The only company I had were lovesick wet couples trying to find some privacy. I walked on to the low bridge.